Rainbow Teen Party – The New Amazing Event on Lady Popular! 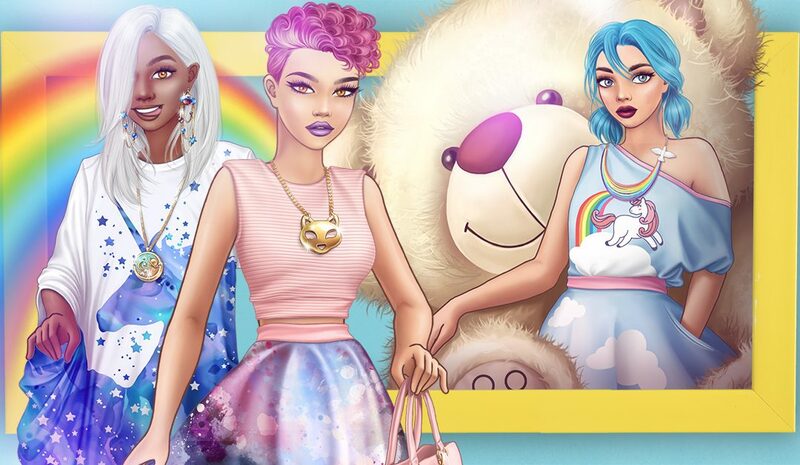 There is an amazing new event on Lady Popular – Rainbow Teen Party. This event is nothing but cute and you need to be part of it to make it even more cuter. If you are a girl or a boy with the most vivid imagination, you like to have fun and a little kid is still living inside your heart – this event is just for you! We have prepared great rewards that you should not miss. In order to move, you need Lollipops which will be used to roll a dice – the number on the dice shows how many steps you move. You can use also the lucky dice to select the desired amount of steps you want to take. While you’re walking, you can find rainbow zones that could bring you great rewards! To enter a rainbow zone you must be right on its entrance. This event will be available until 15.11.2018, 13:00 CET. Are you already curious what are the rewards? Don’t forget to check it out and try on Lady Popular Mobile.